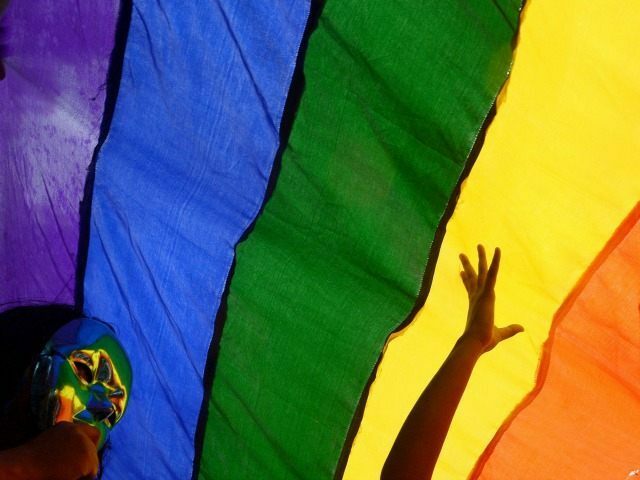 CAIRO (AP) — Egyptian authorities have arrested seven people they accuse of being gay and promoting homosexuality for allegedly raising the rainbow flag of the LGBT movement at a concert last week, even though there is no law banning the practices. The flag was a rare sign of support for highly marginalized homosexuals in conservative Egypt. It took place at a Cairo performance on Friday by popular Lebanese indie rock band Mashrou’ Leila, a jazzy, electro-Arabesque group whose lead singer is openly gay. The seven were arrested on Monday and charged with “inciting immorality,” security officials said, adding that the Supreme State Security Prosecution acted after authorities discovered the seven had “raised the flag of homosexuals.” The officials spoke on condition of anonymity because they were not authorized to talk to journalists. Homosexuality is highly taboo in Egypt among both majority Muslims and the Christian minority, but it is not explicitly prohibited by law. In practice, however, the state regularly seeks to prosecute individuals under alternative charges, including “immorality” and “debauchery,” which are normally reserved for prostitution. Prosecutors also sometimes charge gay people with “blasphemy,” which is also considered a crime in a country with severe limits on free speech. Mashrou’ Leila has played in Egypt before, although the group was twice banned from performing in Jordan over allegations its musicians violate the kingdom’s traditions and commit blasphemy. It is one of the Arab world’s few rock acts to gain significant resonance in the West, playing its Arabic-language fusion to a growing number of fans in Europe and the United States. The band on its Facebook page called the Cairo show, held in a mall in an upscale suburb, one of the best they had ever played, and that it had been an “honor to play to such a wonderful crowd.” The feed became a culture war battle zone in subsequent posts, however, with some users hurling insults while others defended the group. Egypt regularly arrests gay men, with large police raids on parties or other locations such as bath houses occasionally creating media sensations. The most famous raid was in 2001, when 52 men were arrested at a dance party on a floating nightclub moored on the Nile called the Queen Boat. The men were put on trial in a highly publicized proceeding during which they were mocked in the media, which published photos of them as well as names and addresses. Almost half were sentenced to prison after a trial that was widely criticized by human rights groups and Western governments.